Teresa Bubb’s design is inspired by the Paul Bunyan statue that watches over the Kenton neighborhood in North Portland. See all 15 finalists below. 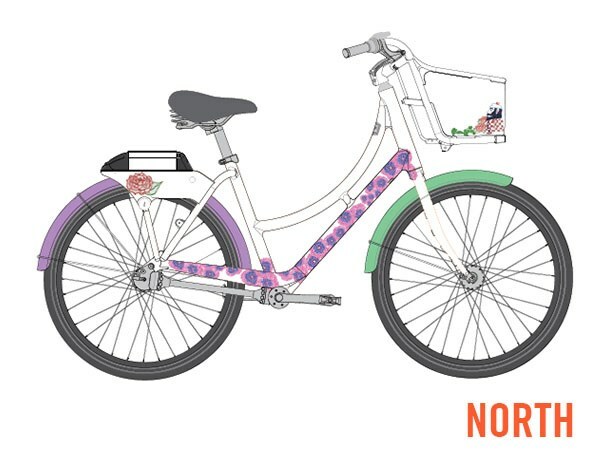 A panel of judges has picked the finalists in a design competition that will bring new colors to Portland’s fleet of Biketown bikes. And it’s time to vote on them. The Biketown Design Challenge kicked off in February and now the best “Show us your Portland” designs have been uploaded to an online gallery. 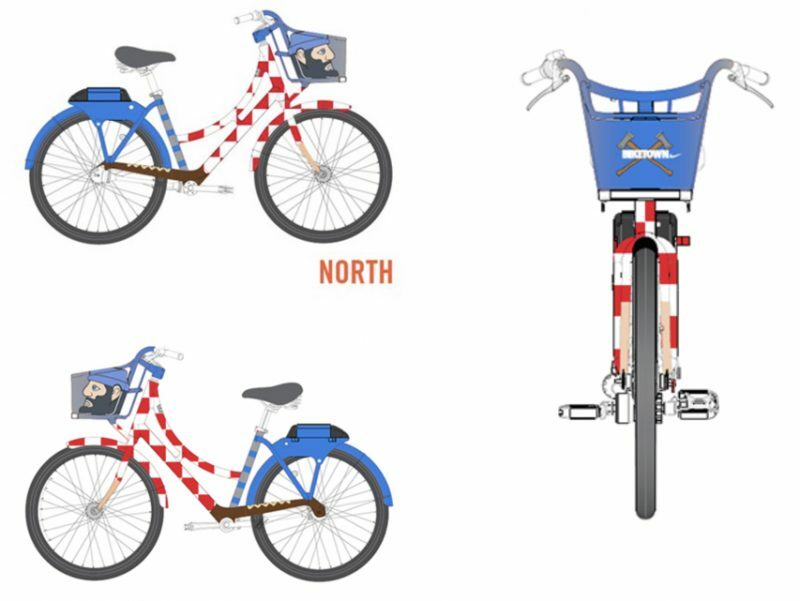 Public voting will determine which one design from each of the city’s five “quadrants” will be added to the fleet via specially-wrapped bikes. Below are the 15 finalists (three from each of the five quadrants). I’ve also included the artist’s name and their inspiration statement. “This design was inspired by one of my personal favorite spots to visit in North Portland, the Smith and Bybee Wetlands Natural Area. The appeal of this place is the lush greenery, tranquil waters and varied wildlife. 1977. Historic seasons and team legends. An icon of teamwork, unity, and competition. All in the name of Jack Ramsay. Number 77 forever. “After living & working all over the city through the last 15 years I’ve found the NW to be the most vibrant and diverse area of Portland. This area is growing more in the metropolitan sense than anywhere else in the state and still making space for creatives and quality Portland strange. The NW is often passed over by residents on the Eastside of the river. 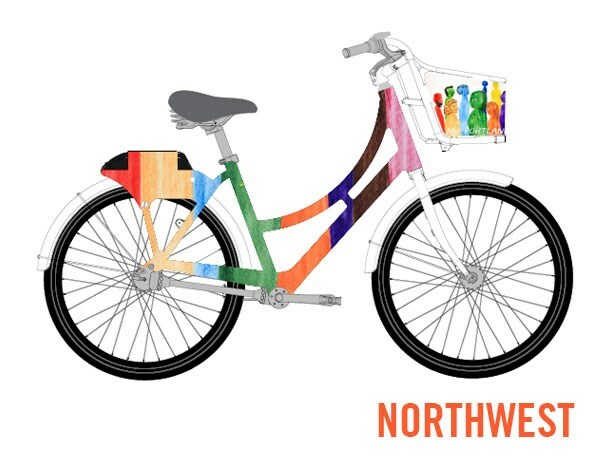 I’ve seen programs like Biketown start to bring even more people to adventure the inner NW areas. Our city was built for bike commuters so facilitating peoples adventures is a great success Biketown has to report. 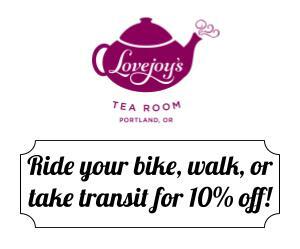 “How can you sum up all of Southeast Portland into one illustration? By honoring all of it! 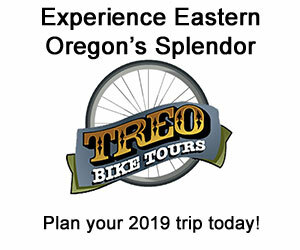 Think of all the fun neighborhoods that you can travel to via BIKETOWN: To start you can grab drinks in Brooklyn, bike over to OMSI, head up Hawthorne and catch a film at the Bagdad, head down to Portland Mercado for a bite to eat, maybe later you can watch a sunset on Mount Tabor! The list goes on and on, and this illustration reflects the many beautiful, fun and quirky facets of Southeast Portland! 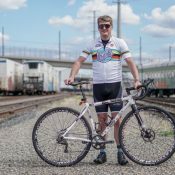 “Having grown up in SE Portland, I wanted to create a design that honors the ingenuity that has come from this quadrant of the city while encouraging the rider to consider their own journey and what SE means to them. This bike is named after my father, who immigrated to Portland in the 80s and continues to contribute to its landscape. “Portland is home to me. I have grown up in Oregon. The main inspiration for my design was to create something that captures what the city means to me, and the things I find beautiful about it. 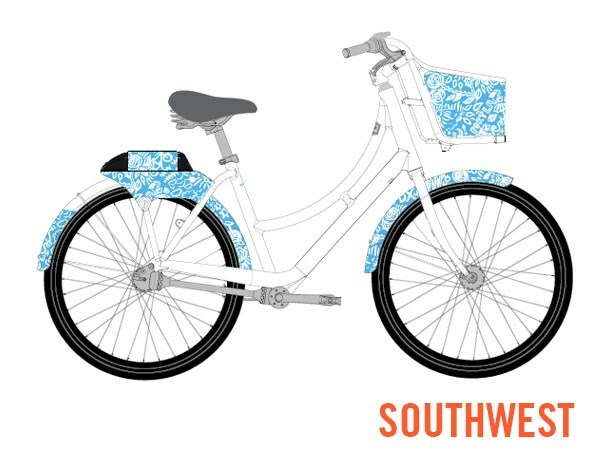 I chose to stick to a blue and white color scheme to compliment the orange BIKETOWN aesthetic. The blue is meant to tie into the water that connects the city, while keeping the imagery simple and relatable. I made my design so that it could be easily rotated and repeated, or it could be tiled together to contour to the form of the wrap. 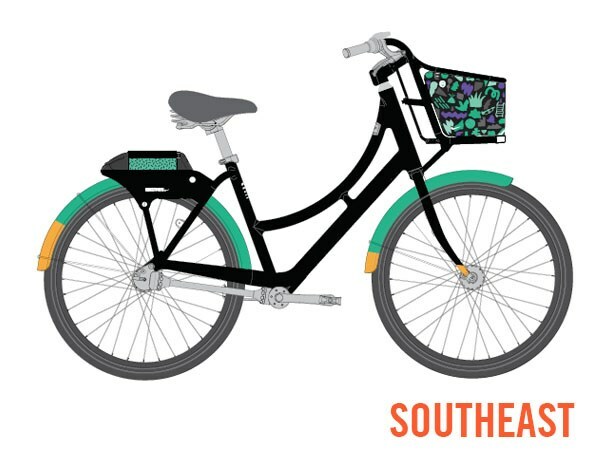 Additional white graphic elements could also be added as needed to fill gaps, or to showcase more things that I love about the city, while keeping them smaller in size so the elements don’t get lost on the frame of the bike. Online voting is open to all Biketown members from today until May 3rd. The winners will be announced shortly thereafer and you can expect to see the designs rolling around Portland this summer. Oooh, really dig that 77 design. 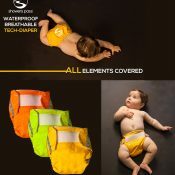 Any of these are better than overbearing-orange. Looks like Barbie Bikes versus the Blue Ox. 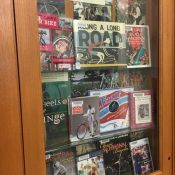 Seems like the bike themes should reflect the areas someone on the bike might actually visit. Paul Bunyan is about 2 miles outside the Biketown boundary. Not sure what Paul Bunyan has to do with NoPo anyway and not sure we need more white dude imagery. St. Johns and all the dive bars have far more to do with the actual character of the area, and PIR is far more interesting/influential as a feature. Also, I am not sure it is good to glorify a fictional “hero” who converted the native forest and intact climax ecosystems of the upper midwest and northwest in to wood for crackerbox saloons and apple crates. I wouldn’t describe myself as offended. Rather, I don’t see what Paul Bunyan has to do with anything — this is a purely manufactured identity and not a very good one at that. How many years of drama did it take to apply another coat of pain? I was ready to go out and do it myself just so I wouldn’t have to listen to people yak about it. At least the Smith and Bybee themed bike is connected to something that’s technically part of NoPo. 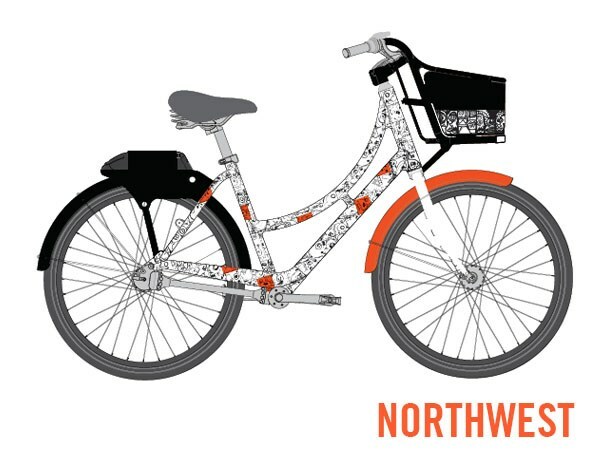 Though I also think that is a poor choice both because it’s a good 6 miles from the boundary of Biketown no one in their right mind thinks of lakes when you mention NoPo, and I doubt more than a tiny percent have ever been to the lakes. 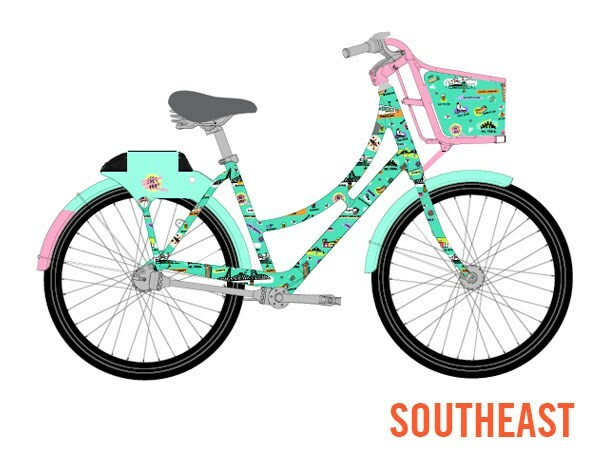 Which leaves us with the Barbie bike. Ugh. If nobody mentioned it was Paul Bunyan, I would have just assumed it’s an homage to hipsters. Paul Bunyan is folklore from Maine and Minnesota… not oregon. weird. There are a lot of trees in Minnesota. They’re in between the twos and the fours. 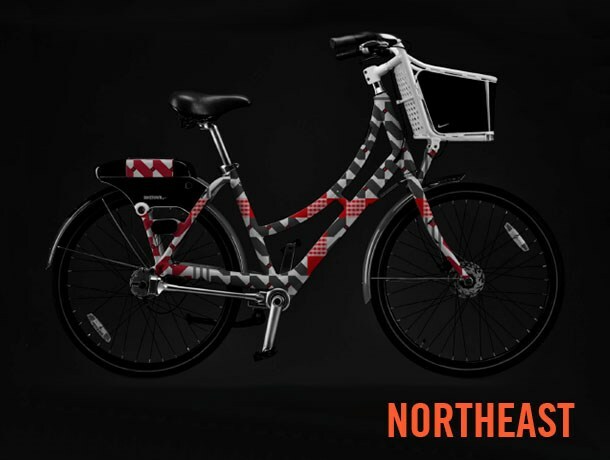 Let’s face it, Biketown’s steeds may be strong, of necessity, but no way light or cheap. The severe constraints imposed by intended use result in a vehicle that would be no one’s first choice to buy and ride personally. If someone likes the Bunyan bikes so much that they decide to bike instead of walk, they can say they’re not walking any more due to having Bunyans. While in a picky mood I must remark that the old Schwinn catalogs invariably pictured bikes in profile with valve stems carefully positioned at the bottom of the wheel. 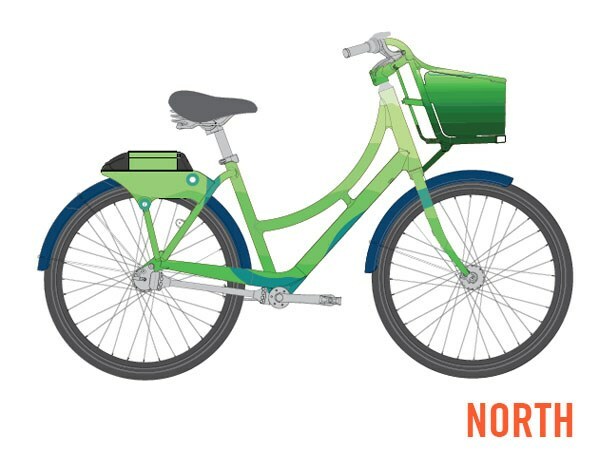 From the renderings above one might conclude that Biketown machines have no valve stems at all. I hope there’s a celebration party to announce the winners in each of the five quadrants, with entertainment provided by a five-piece quartet.